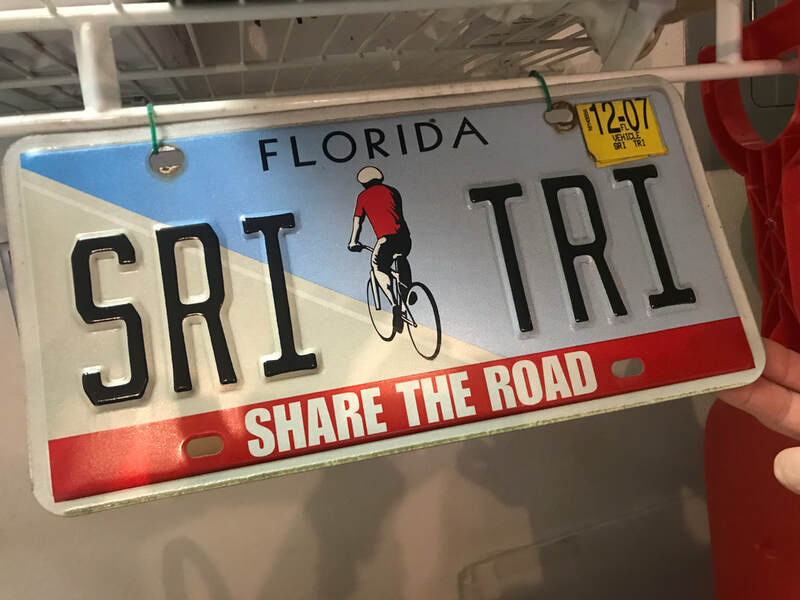 Ann Knight (founder of SRI TRI) shares the very first SRI TRI shirt and first athlete registration form. 2004, the SRI TRI monument dedicated to Charlie and Ann Knight. The one thing that one can say about the Santa Rosa Island Triathlon is its ability to overcome adversity. 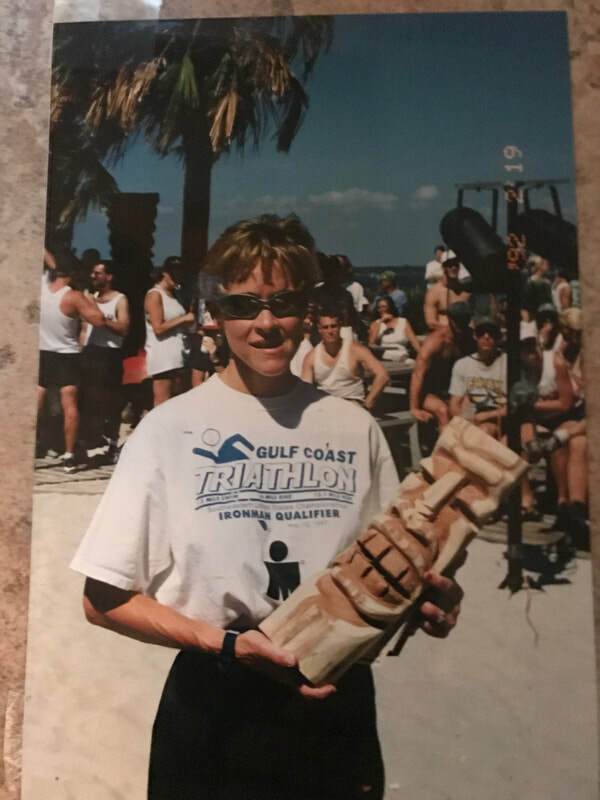 Ann Knight, an experienced race director teamed with the Santa Rosa Island Authority and volunteered to hold a triathlon on Pensacola Beach to promote tourism and bring visitors to the beach during the off season. 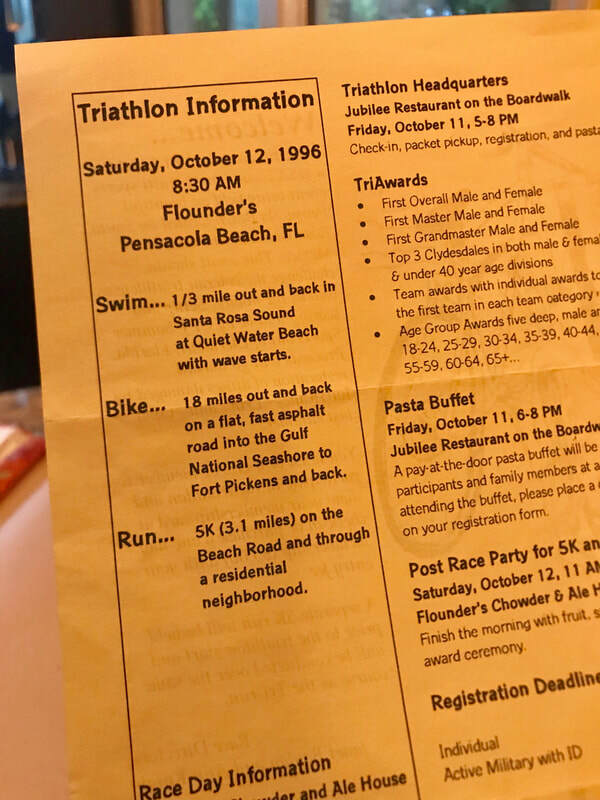 "The race was born after Joe Fernandez the guest speaker from Tampa, Fl., director of many races and editor of Florida Race Place magazine spoke on the cutting edge of multi-sport events, such as triathlon at a race director’s clinic sponsored by the Pensacola Runner’s Association and organized by Ann Knight. 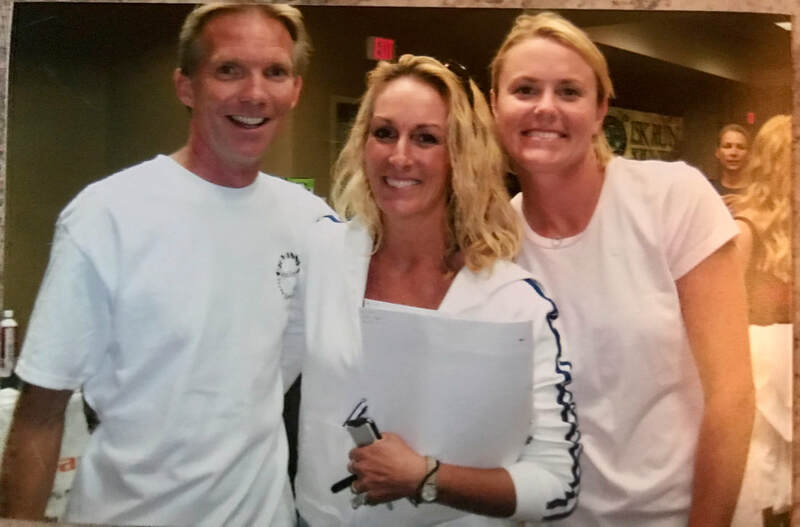 Dee Lucas, the Promotions and Events person for the island attended the clinic, approached Ann with the idea of sponsoring a Triathlon on the beach in the off season to promote tourism. With the support of her friend Janet Boylan, a date was selected and with much mentoring from Joe and his friend Fred Rzymek from South Florida the SRI-TRI was off and running!" The first race was on October 12, 1996. Ann said "I hoped for 250 athletes and we had 450!" - this was just the beginning of many years of success as the race grew to over 1,300 athletes.. Despite some tough weather years the event continued to grow and triathletes from all over the United States flocked to Pensacola Beach to compete in one of "America's 100 must do races". 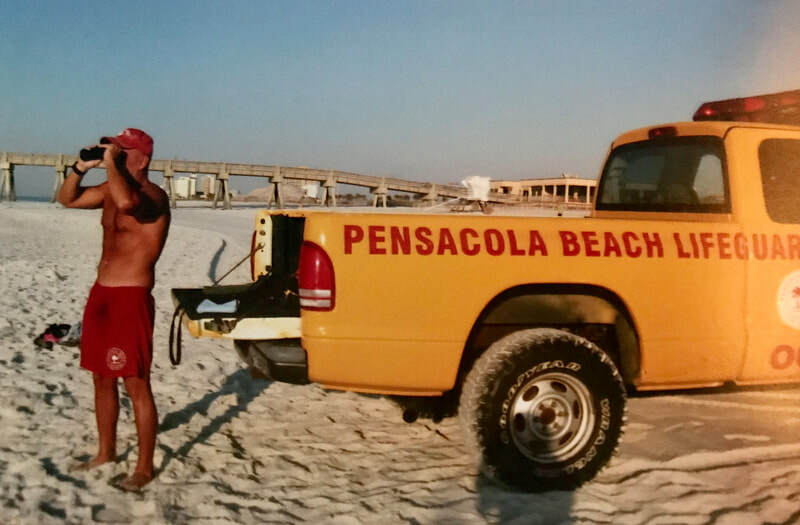 From its inception, a large portion of the profits have been donated to many projects on Pensacola Beach which included dune restoration, benches for trolley stops, bike racks around the island, playground equipment for the Beach School, bikes for the Beach Sheriff Department, surfboards and life preservers for the lifeguards, and sponsoring youth triathletes to attend USA Triathlon Training Camp as well as hosting a week-long triathlon program for under-privileged youth within the community. The generous donations continue today to programs that support youth and adult athletic programs in the community. 1996: 10-12-1996; Inaugural event with 450 athletes. 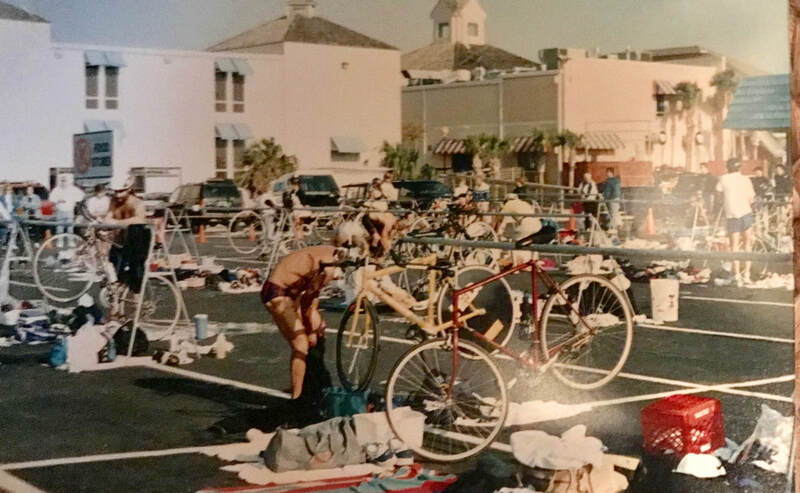 Transition was located in Flounders and Circle K parking lot with the swim in Santa Rosa Sound, bike towards Ft. Pickens and run through the beach neighborhood. 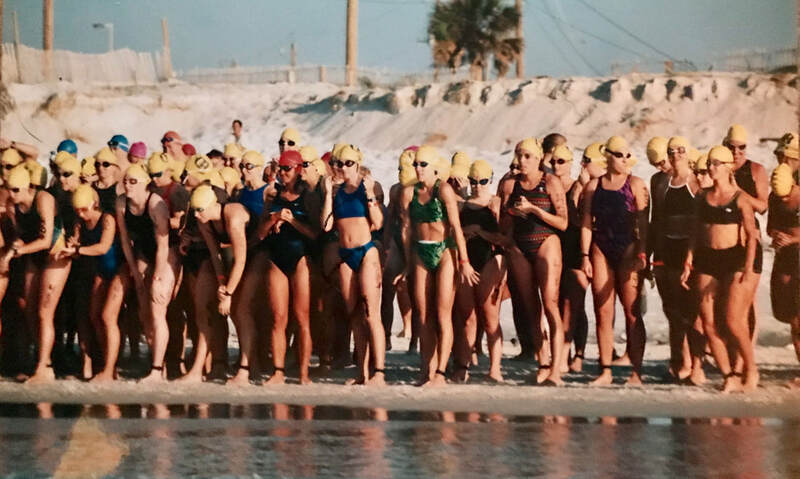 1997: 10-11-1997; race staff coordinates the beginning of "Mere Mortals" training program with Tri Gulf Coast, race was moved to the Gulf side parking lot. The race sold out with 500 athletes. Rough surf resulted in cancelling the swim and a duathlon format was implemented. 1998: 10-10-1998; with a sold out event two weeks prior to race day Hurricane Georges swept through and left the roads piled with sand. SRIA worked diligently to clear the roads for a 10 mile bike. The 3rd running of the event was dedicated to Dr. Fenner McConnell - bib #1. 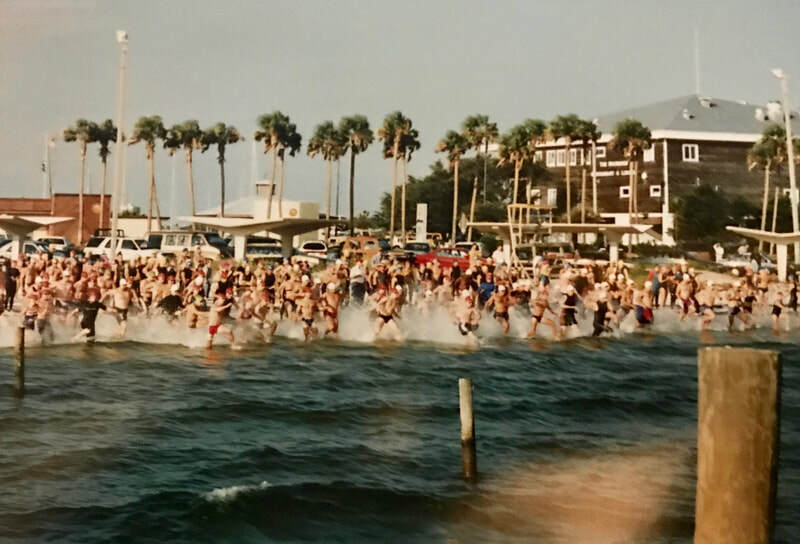 ​1999: 10-02-1999; hoping for a perfect year with a sold out race of 700 everything was going as planned until Red Tide pushed the swim into Sabine Bay. Despite the change the race was perfect. 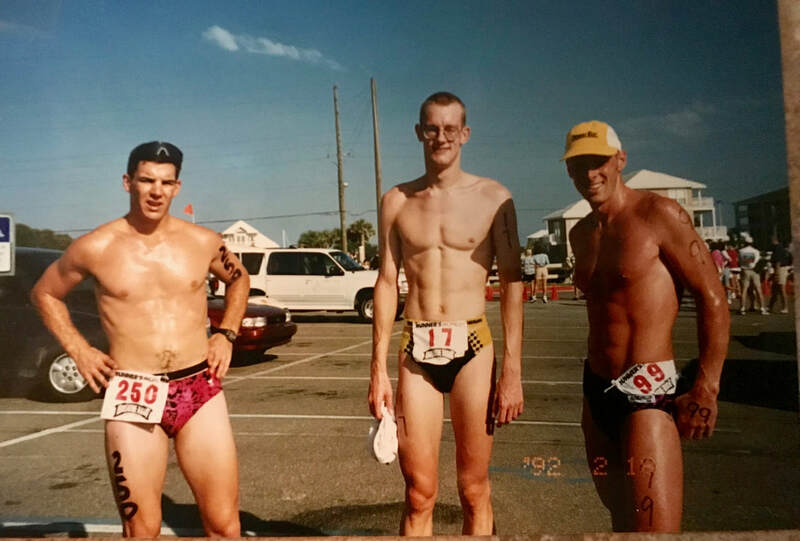 USAT recognized this as the Best Small Triathlon of 1999! 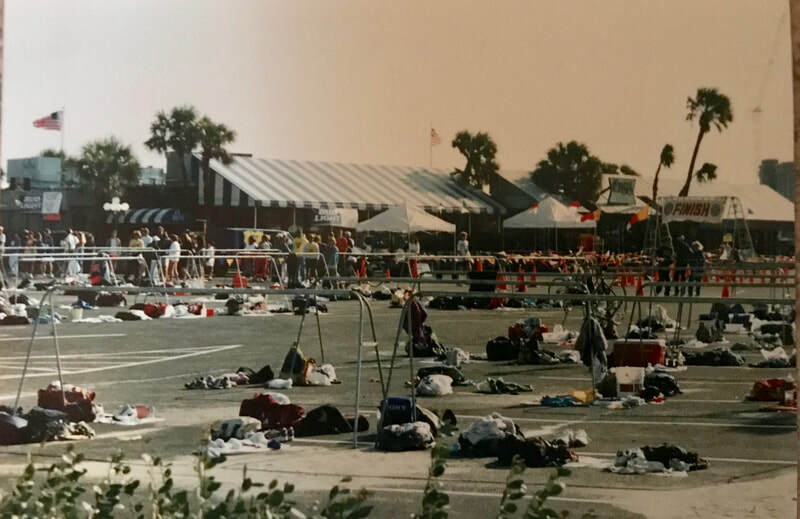 2000: 10-07-2000; sold out race 3 months before race day. Perfect race day including a shift of transition location to accomodate the fishing pier construction and which also featured Michellie Jones the silver medalist of the inaugural women's triathlon competition at the 2000 Summer Olympics, and the race was selected by USAT as Best Large Triathlon! 2001: 09-29-2001; Perfect raceday conditions! Brian Fleischmann earns his 1st of what would be 12 overall 1st place finishes at SRI TRI. 2002: 09-28-2002; Great race conditons again! Laurie Hug becomes female athlete to win overall placement in consecutive years. 2003: 09-27-2003; the first physically-challenged athlete (David Bigoney) completes the event with an experienced guide in event sponsor Attorney Gene Mitchell, Inside Triathlon Magazine profiles the event as one of 7 World's Best Destination Events. 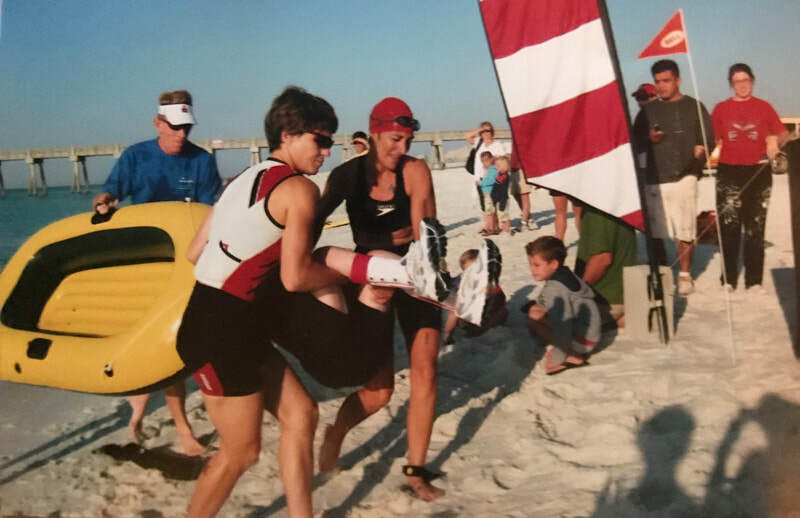 2004: 09-25-2004; 1,300 athletes registered and Hurricane Ivan cancelled the event, the race donated over $25,000 to lifeguard and beach school equipment restoration and replacement, race packet items were donated to Destin Crab Trap Triathlon, Ann and Charlie Knight honored with the monument at Casino Beach. 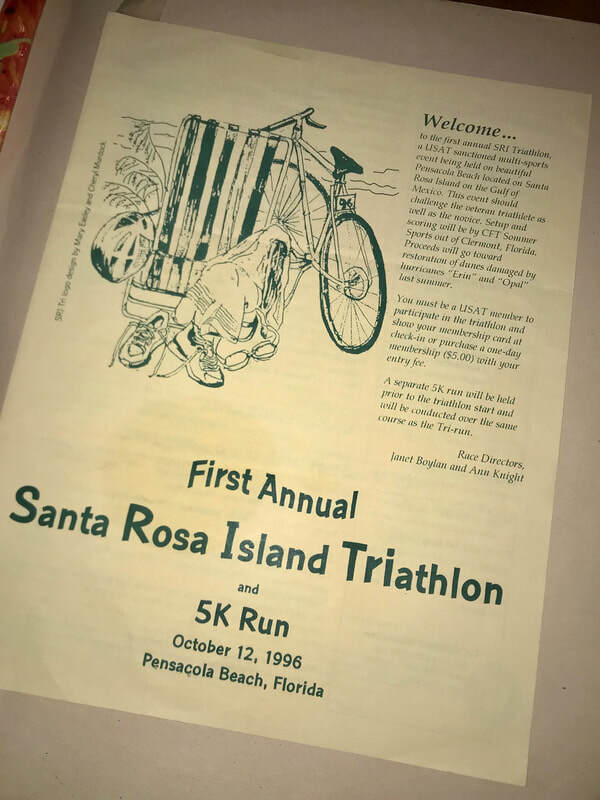 2005: ​09-24-2005; Hurricane Rita forces conversion to a 5k roadrace format, refunds were sent to those directly impacted by Hurricane Katrina, $5,000 donated to continued resoration of island services. 2006: 10-07-2006; Premier Event Management takes on race directorship duties. Lindsey Ellis begins a streak of many SRI TRI finishes as part of Team Ellis, a family relay effort including supporting family members. 2007: 10-06-2007; selected as the Florida State Sprint Triathlon Championship, tropical weather system forces conversion to duathlon format. 2008: 10-04-2008; Perfect weather conditions grace the event as Board Member Charles Gheen takes the helm as race director, double loop bike course layout due to washed out beach road. 2009: 10-03-2009; More perfect raceday conditons as beach road construction complete with 18-mile bike course into Gulf Islands National Seashore offered. 2010: 10-02-2010; Fantastic weather for the event after preparing alternate plans with Deepwater Horizon oil spill, event takes place as originally planned, nearly $4,000 donated to community organizations. 2011: 10-01-2011; The run of fantastic weather continues, in excess of $7,000 donated to community organizations. 2012: 10-06-2012; Five years in a row of perfect conditions, in excess of $9,500 donated to community organizations including the Steven Garst Fund (bib #23). 2013: 10-05-2013; Tropical Storm Karen forces cancellation, nearly $11,000 donated to community organizations including support in establishment of the Tri Gulf Coast Youth Multisport Races Series. 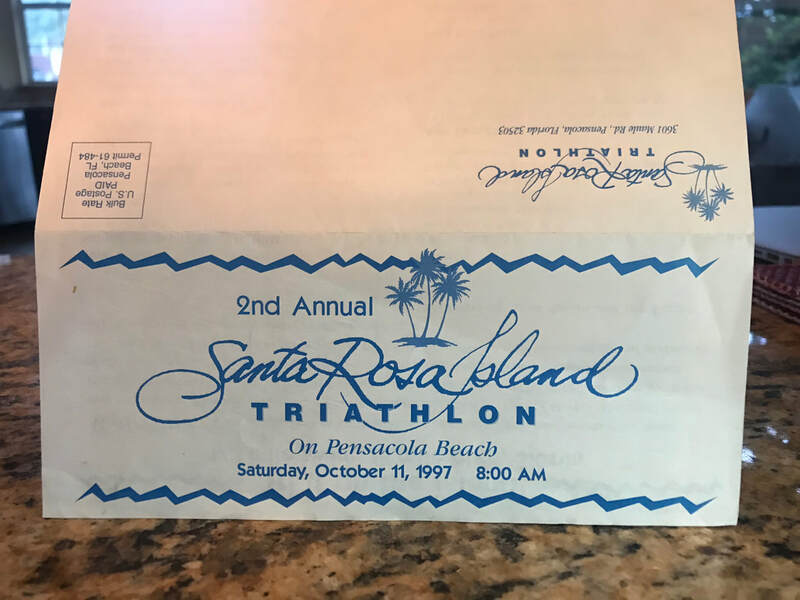 2014: ​10-04-2014; Ideal conditions for the post-TS Karen year, entry fee deferrals offered for 2013 entrants, in excess of $5,000 donated to community organizations. 2015: 10-03-2015; A chilly and windy day for athletes but a flat swim due to the North wind, nearly $7,000 donated to community organizations. 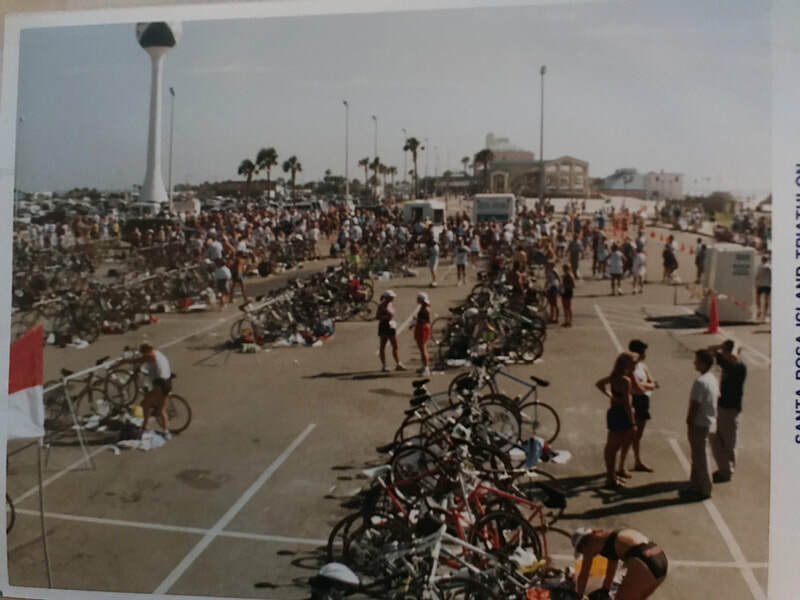 2016: 10-01-2016; Tri The Island supersprint distance event is expands the race series offerings (04-23-2016), SRI TRI raceday is a success, in excess of $9,000 donated to community organizations including support in establishment of The Gulf Coast Tri Initiative. 2017: 10-07-2017; Tri The Island returns (06-10-17,) Hurricane Nate forces cancellation, in excess of $5,000 donated to community organizations. 2018: 10-06-2018; 500 athletes competed on a perfect day with dual loop bike course layout due to limited access to Gulf Islands National Seashore, the race returns with renewed energy and charitable contibutions continue. We now utilize an registration engine which offers event cancellation insurance so athletes will be reimbursed if the race is cancelled. 2019: 10-05-2019 Looking forward to the perfect day!! !